Waterfall Info: This large waterfall is on an unnamed tributary of the Coleman River that has been dubbed Steeltrap Branch, as it flows from Steeltrap Knob. The waterfall's name originated when someone tossed an old washer machine down the waterfall years ago. Best seen during wet weather. 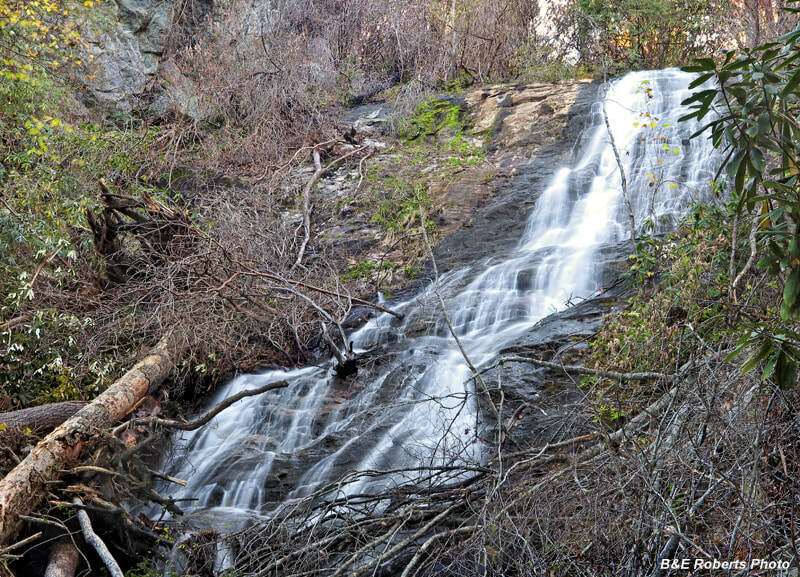 Access Info: An old, gated forest road - the continuation of Coleman River Road (FS 54) - leads near this waterfall. You'll need to bushwhack to access the base.